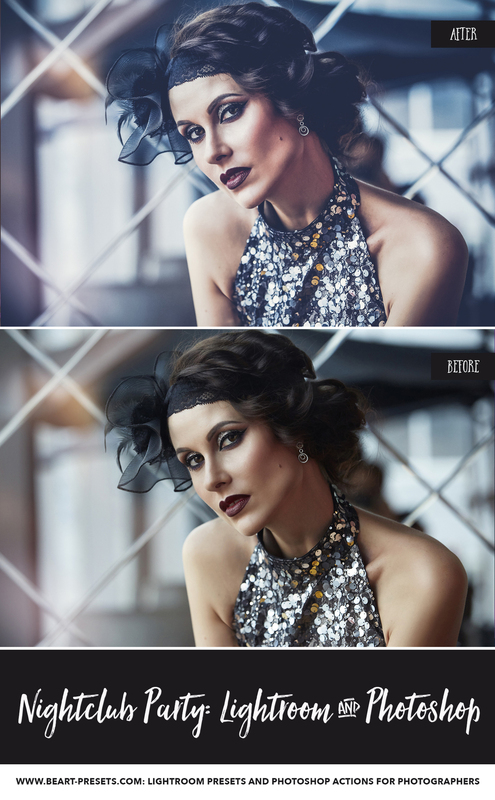 Nightclub Party and Event Photography Lightroom Presets, Adobe Photoshop Actions and Camera RAW Presets Collection was especially created for nightclub party and event photographers, concert and wedding party photographers. It will help you to create infinite custom color tones, from sophisticated warming and cooling, to more intense color effects. It's also fantastic for black and whites. Make your images pop and stand out from the crowd with BeArt Nightclub Collection. Let's add some noise to your party! Nightclub photography is all about capturing the glamour and excitement of the nightclub party scene. When done correctly, high-quality nightclub photography can help guests hold onto the memories of a fantastic night for years to come. Unfortunately, event photography and party photography is also difficult and time-consuming. From creating great lighting to staging moments and snapping blur-free photographs, nightclub photography is riddled with challenges. Add that to the extensive post-processing requirements of nightclub photography and you have a recipe for frustration and wasted time. Fortunately, BeArt Presets is here to help make nightclub photography, wedding photography, and birthday party photography easier and less stressful for you. Our high-quality Nightclub Party and Event Photography Lightroom Presets, Adobe Photoshop Actions and Camera RAW Presets Collection will help you save time and create beautiful, professional nightclub photography that you’ll be proud to put in your portfolio. 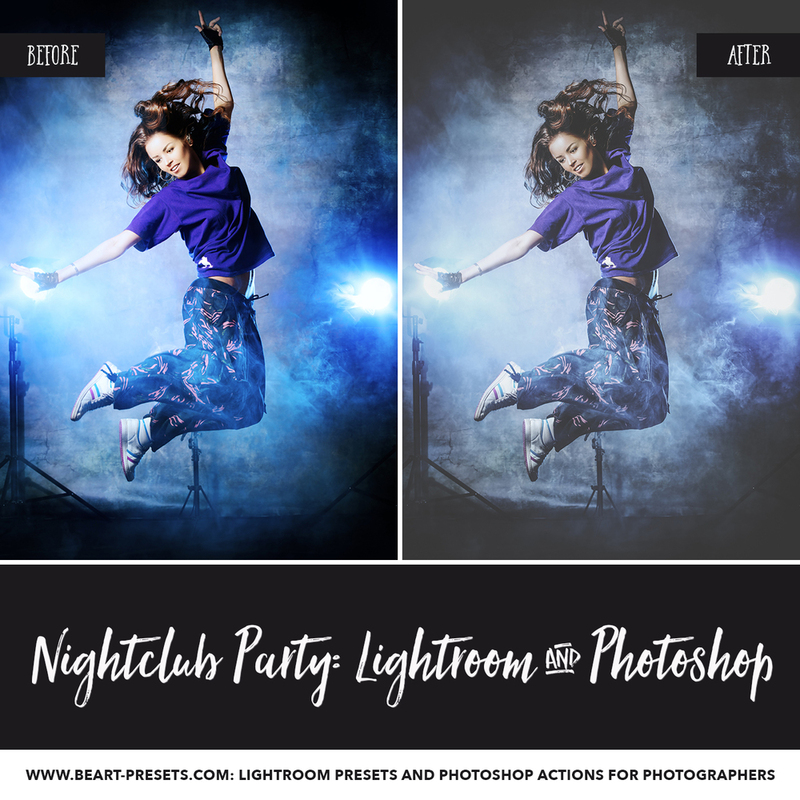 WHY PURCHASE BEART NIGHTCLUB LIGHTROOM PRESETS AND NIGHTCLUB PHOTOSHOP ACTIONS? As a professional photographer, your time is limited. Focusing too much on extensive post-production edits and alterations makes it more difficult to get things done and eats up your precious time. 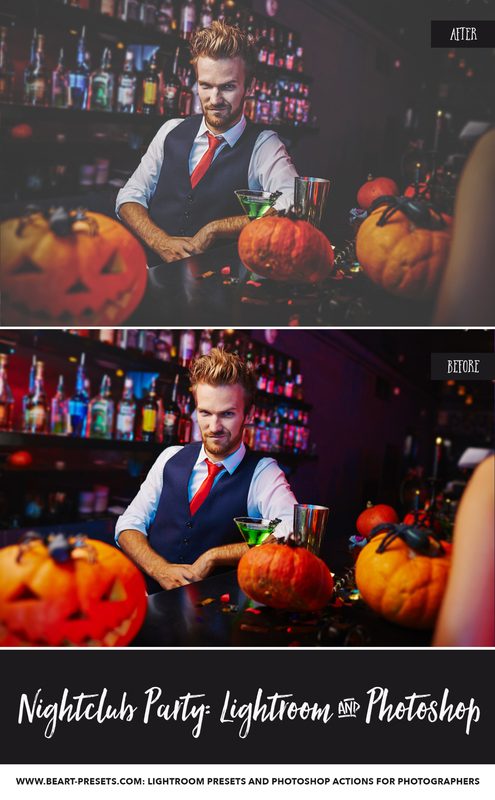 This is why our Nightclub Party and Event Photography Lightroom Presets, Adobe Photoshop Actions and Camera RAW Presets Collection is so popular among professional nightclub photographers of all types. In addition to helping you save time, this package can also help make your nightclub photography easier and more unique. WHAT DO OUR NIGHTCLUB PARTY AND EVENT PHOTOGRAPHY LIGHTROOM PRESETS AND ADOBE PHOTOSHOP ACTIONS DO? Designed specifically for nightclub and event photographers, our packages are ideal for creating custom tones. 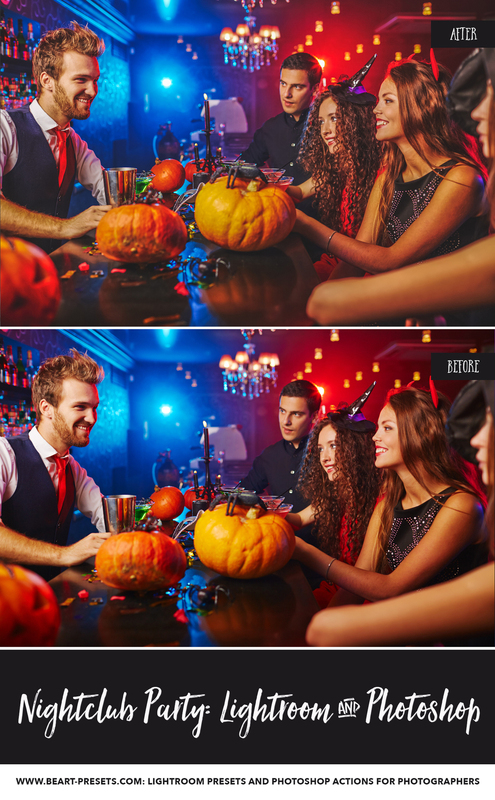 Depending upon your nightclub photography style, these packages can be used to develop cooler or warmer tones that can enhance your photographs. Additionally, these packages offer the ability for photographers to produce intense pigments and deep, stark colors that can be used to suit a specific mood or customer request. These things, combined with your unique photographic eye, can contribute to the development of a distinctive photography style that can help you grow your club photography business and get more work – both in studio and on location. You’re already a skilled photographer, and all you need to help your photos stand out from the crowd is our unique Photoshop actions. In addition to making the editing process easier and helping you save valuable time, these actions and presets will help you develop a unique photography style that grows your brand and helps you build an exceptional reputation.